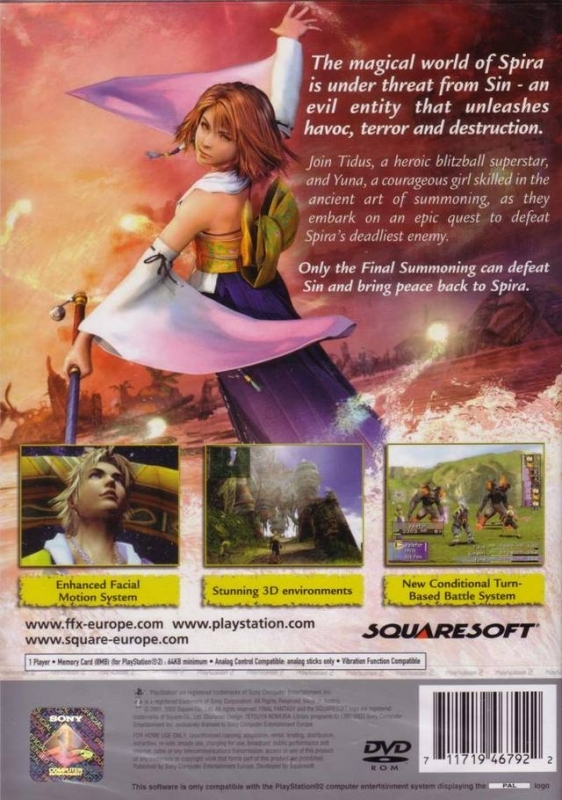 Final Fantasy is a console role-playing game developed and published by Square (now Square Enix), and the tenth installment in the Final Fantasy video game series; it was released in 2001 for the Sony PlayStation 2 video game console. 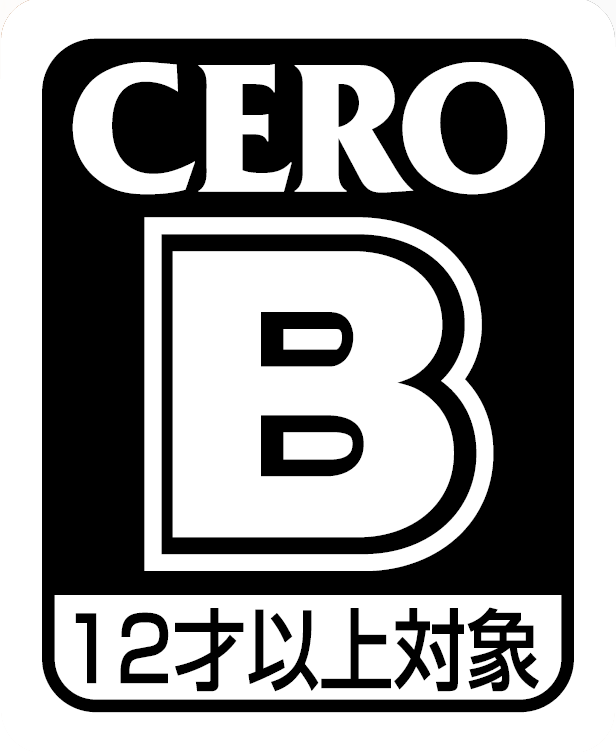 It was once among the top twenty best-selling console games of all time, selling 6.6 million units worldwide and was also voted by the readers of the Japanese video game magazine Famitsu to be the greatest video game of all-time. 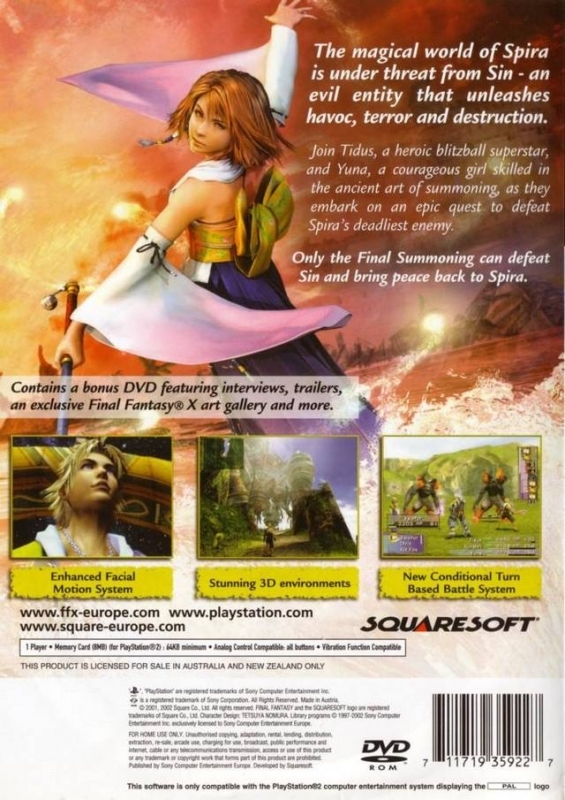 Set in the fantasy world of Spira, the game's story centers around a group of adventurers and their quest to defeat a rampaging force known as "Sin". 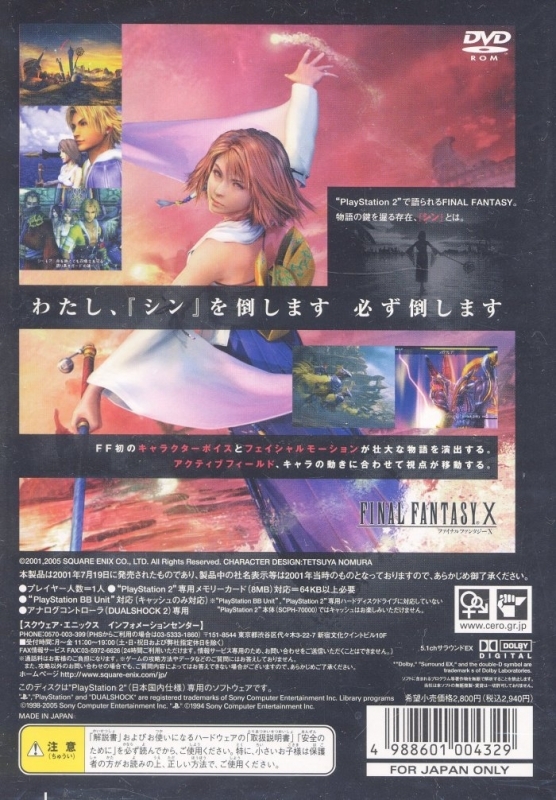 Final Fantasy X marks the Final Fantasy series' transition from entirely pre-rendered backdrops to fully three-dimensional areas, achieved with the PlayStation 2’s Emotion Engine processor. Though pre-rendered backgrounds are not entirely absent, their use has been restricted to less vibrant locations, such as building interiors. 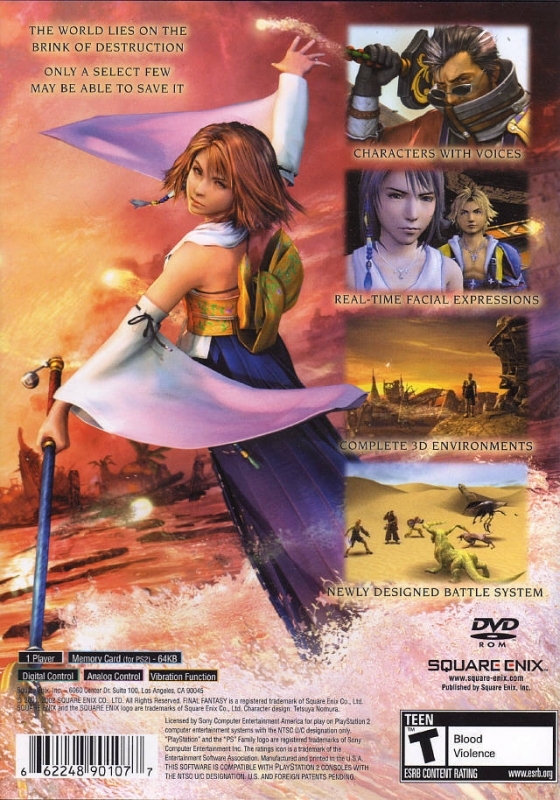 Final Fantasy X is also the first game in the series to feature a wide range of realistic facial expressions, as well as other technological developments in graphical effects achieved, such as variance in lighting and shadow from one section of a character's clothing to the next. 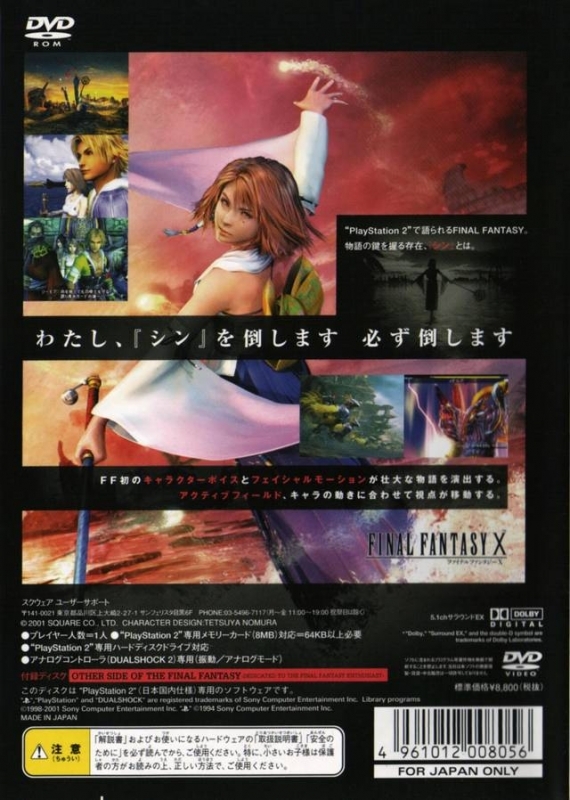 Final Fantasy X is also the first in the series to feature voice-over actors, as well as the first to spawn a direct sequel, Final Fantasy X-2. 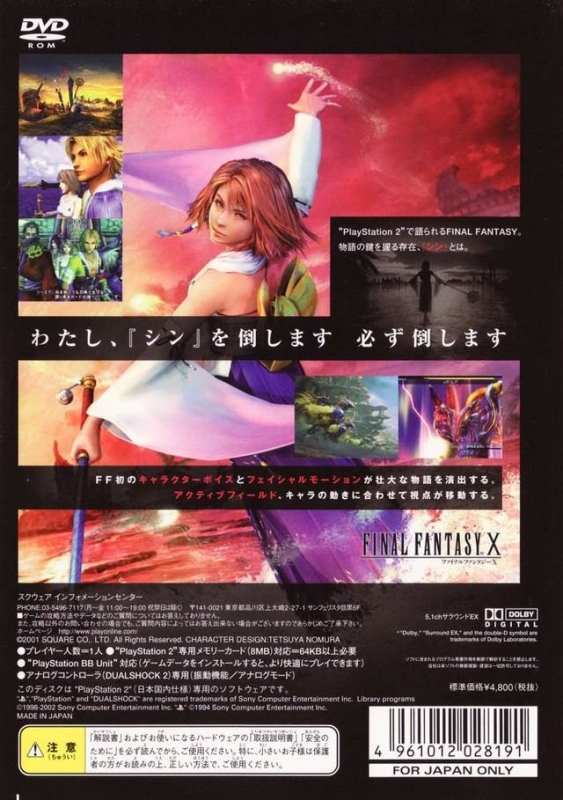 Final Fantasy X introduces other significant advances in the Final Fantasy series. 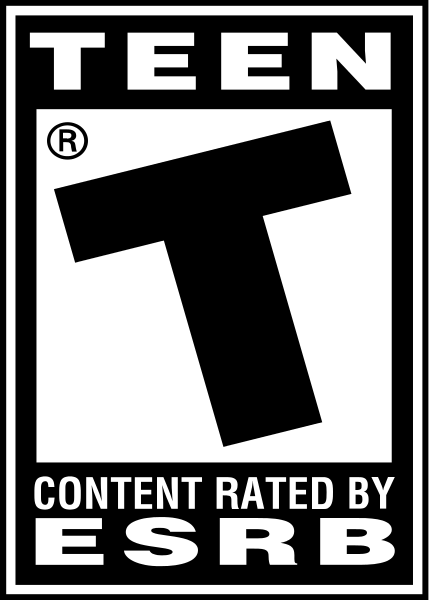 For instance, because of the implementation of voice-overs, scenes in the game are paced according to the time taken for dialogue to be spoken, whereas previous games in the series incorporated scrolling subtitles. 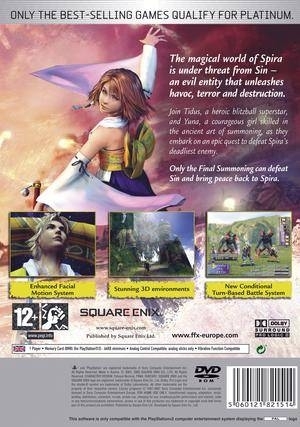 Final Fantasy X features changes in world design, with a focus placed on realism. 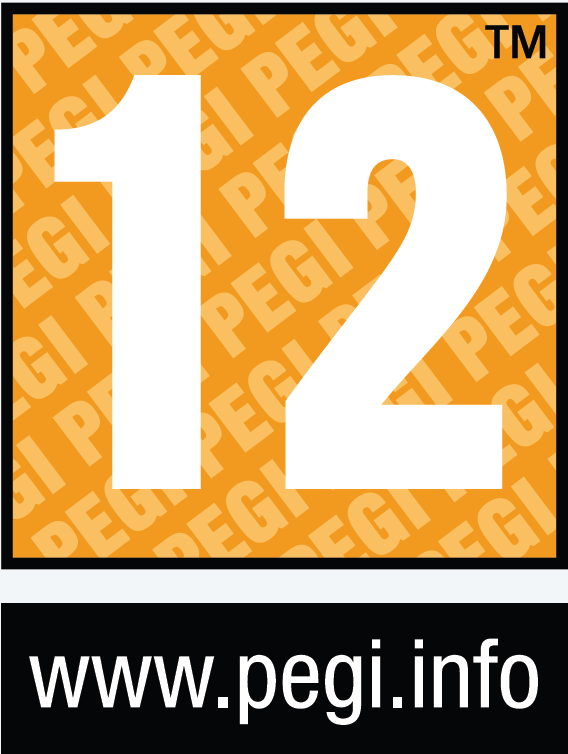 The gameplay makes a significant departure from past games as well, incorporating several new elements. I love this game. This game brought happiness into my childhood. 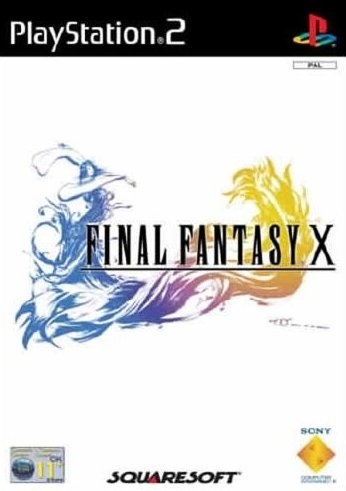 My personal favorite Final Fantasy game.